Top shelf is 267 mm from top of cabinet lip, second shelf measures 190 mm from bottom of top shelf. 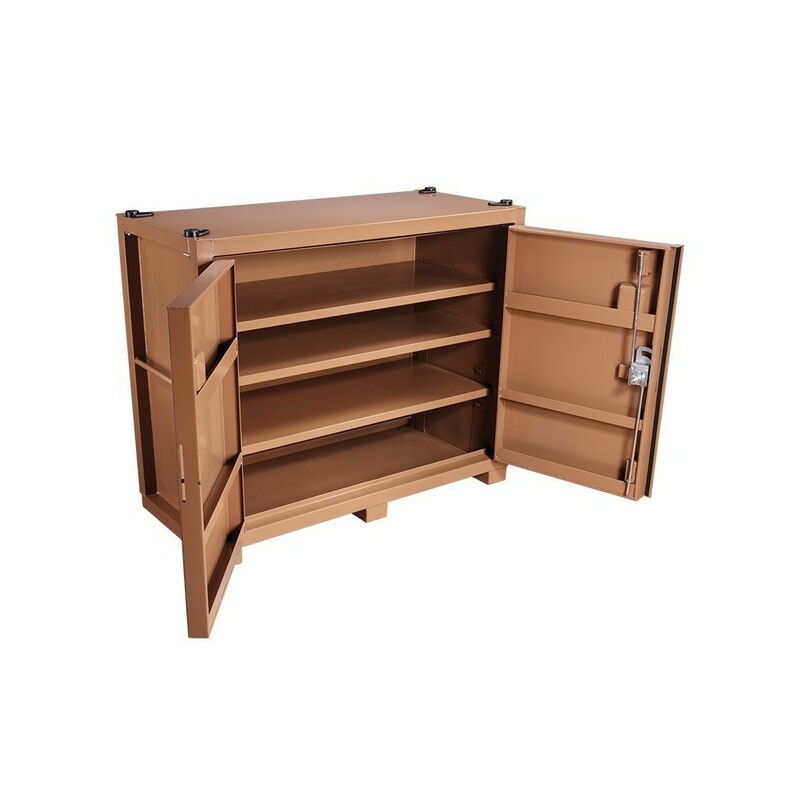 The bottom shelf is adjustable for easy storage of bulky items. Low centre of gravity provides stability. Open design, without center post, for maximum storage and accessibility. Weather-sealed doors for improved weather resistance.